Boy it has been a while since my last post. I'm still trying to recover from my stomach issues. Every time I think things are getting better I backslide. I have been trying to stay in the bed and create stuff on the computer. I did manage one day last week to get a bunch printed and cut out. Now who knows how long it will take me to get them all posted. Today I want to share these really cute Peekers that I turned into Lollipop Holders. I think they turned out really cute. Unfortunately the sun today did not want to corporate and the pics are not so great. 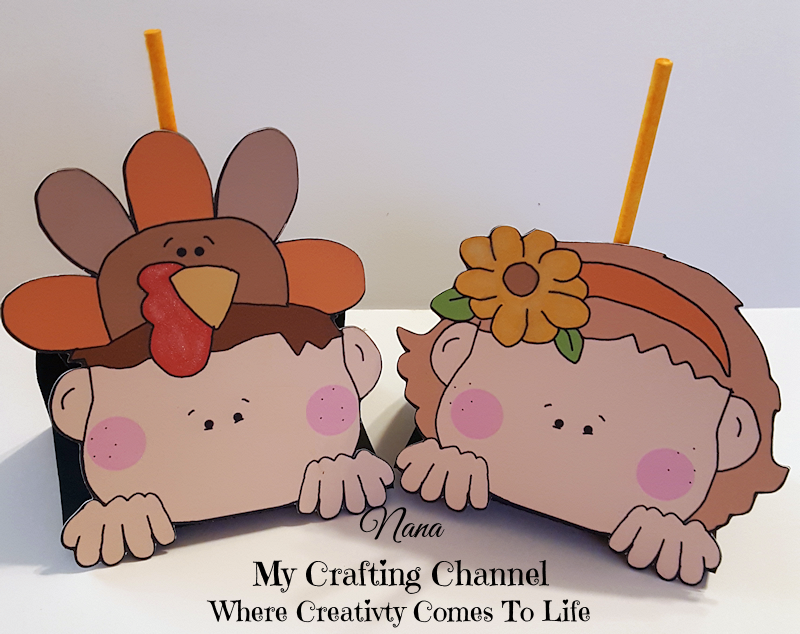 Oh my gosh these Thanksgiving lollipop holders are adorable. I love all of them. I hope you keep feeling better. Your lollipop holders are the cutest!!!! They make me smile! I hope you get to feeling better~sorry, you haven't felt well! Those lollipop holders are absolutely adorable! I love the whimsical designs of the faces! I hope you start feeling much better soon, it's no fun to be sick for so long! Hugs! These lollipop holders are so adorable!! I love them all!! I hope you are feeling better soon!! Have a great day. Well you told me they were cute and they are!!!!!!! Super cute! 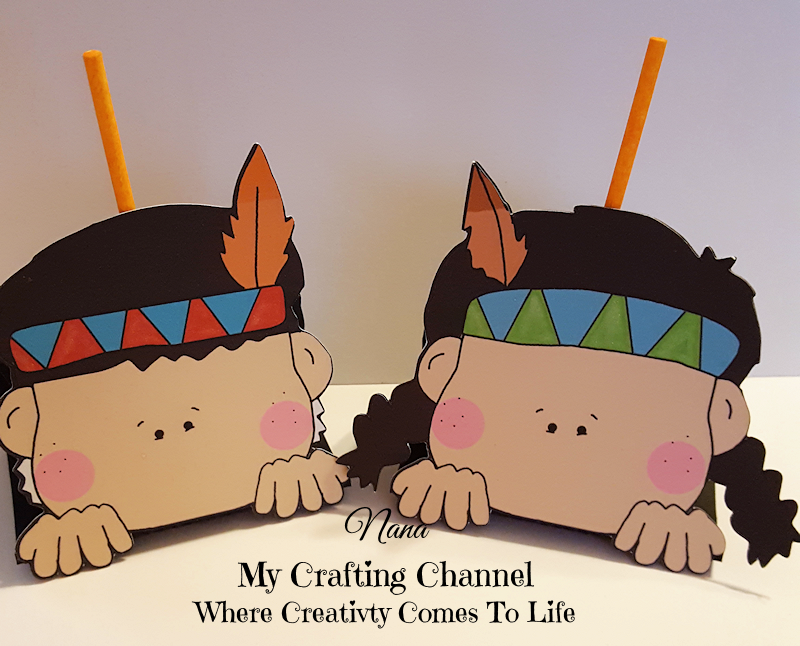 I especially like the little Native Americans. You sounded like you were pretty busy today when we talked, just don't push yourself. Take it easy, you don't want to get sick again. I love the adorable faces!! Super cute, fun & yummy!! Take your time and get lots of rest! !Take care of yourself my friend!! All adorable - Thanks for joining our Fun-Day Friday Challenge @ Jo’s Scrap Shack. They are darling, they would make anyone smile over the festive luncheon or dinner table.... This is the best I've seen so far..... Thumbs up on this one Nana! I'm sorry to hear that you're still not feeling well.. I hope it goes away soon so you can get back into the grove my friend! 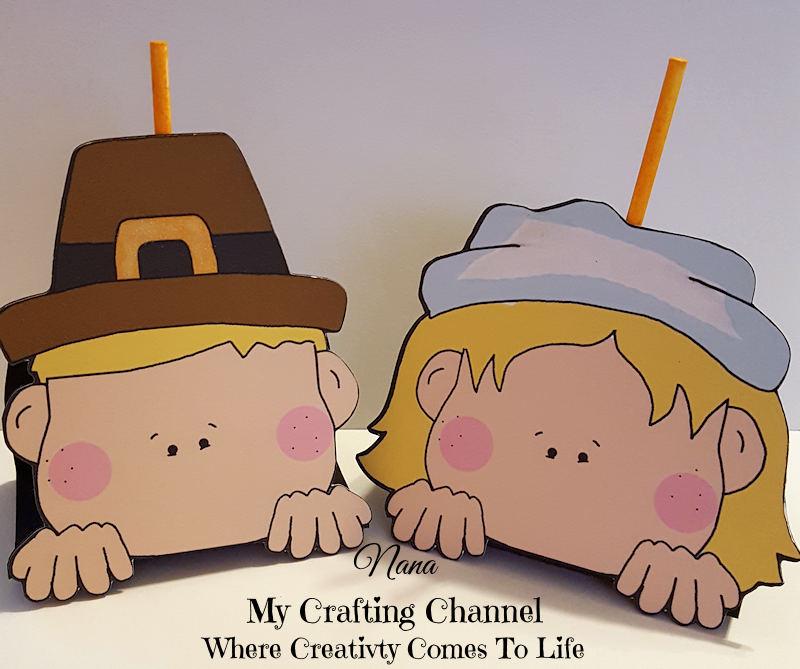 :) I do adore these adorable Sucker holders... they're so fun & perfect for the season!~ I can totoally see placing these at the kids table during the holiday! :) Big Hugs! Nana these are all so adorable! I love the middle set of the little Indian boy and girl the most though... I think they are so darn cute! Thanks so much for joining our Funday Friday challenge this week at Jo's Scrap Shack! Have a wonderful day! Oh my...sorry to read you are still under the weather. It is hard to get crafty when you do not feel well. You did manage to make these super doooooper cute sucker holders though...great fun!